Posted on 30, November 2018 by EuropaWire PR Editors | This entry was posted in Aviation & Aerospace, France, Germany, Travel and tagged ACMI carrier, adhoc charter, Airbus A320ceo, Airbus A320ceo aircraft, aircraft, airline, CFM56-5B engines, CFM565B, flights, Gael Meheust, Marcos Rossello, Sundair. Bookmark the permalink. 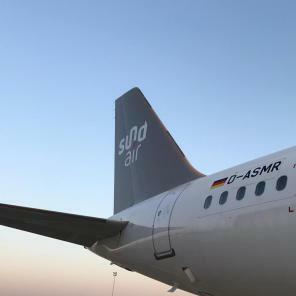 WEST CHESTER, Ohio, USA, 30-Nov-2018 — /EuropaWire/ — German-based leisure airline Sundair has purchased four CFM56-5B engines to power two new Airbus A320ceo aircraft in order valued at $45 million U.S. list price. The airline’s modern fleet consists of four aircraft from European manufacturer Airbus Industries, type A320-214 and is based in Berlin-Tegel, Berlin-Schönefeld and Kassel-Calden. CFM56 engines are a product of CFM International, a 50/50 joint company between GE and Safran Aircraft Engines. CFM is the world’s leading supplier of commercial aircraft engines, with more than 33,000 CFM56 engines delivered to date. For more information, visit us at www.cfmaeroengines.com or follow us on Twitter @CFM_engines.